Welcome to the Purdue Polytechnic at Purdue University. We offer something different in the way you learn, the experiences, and the payoff. Join the difference. Explore our majors, schedule a visit, and let's Boiler Up! Purdue Polytechnic programs combine innovative learning methods, real-world experiences and industry partnerships. When you graduate, you will be uniquely qualified for technology-driven careers, even those that haven’t been created yet. 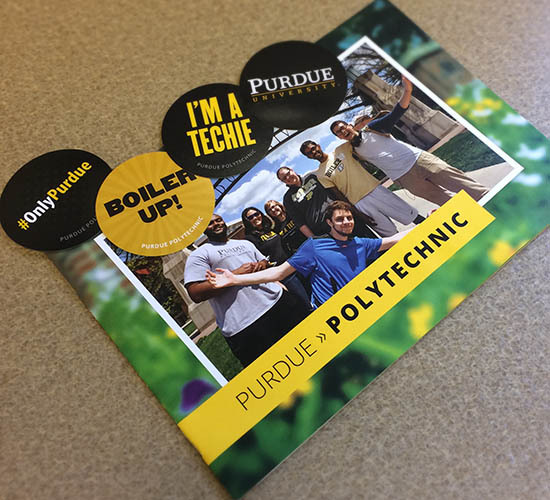 We think you’ll find an enticing major (or two) to explore within the Purdue Polytechnic Institute at Purdue University. You can also study select Purdue Polytechnic majors in nine Indiana communities in addition to the main campus at West Lafayette. Watch previous replays and see upcoming broadcasts. Purdue University is reinventing high school with the help of Purdue Polytechnic faculty and staff. Visit the Polytechnic High School Indianapolis website for more information.